Discussions often centre upon the role and responsibility of the academic researcher in disseminating knowledge to a wider audience – the public has a right to know what is happening in universities. Yet this is only half the story. Communicating research is also about the researcher. What are the benefits of communicating research to non-experts? Why should you spend time on outreach and how can you do it? If you stick your “academic nose” out in a non-traditional manner, what are you exposing yourself to? How does the use of social media, a platform where you also share personal information, compare to the more traditional channel of writing articles for journals or other media outlets? Sunniva Rose shares her story of being thrust into the role of “expert” re the Fukushima disaster at a time when she was just beginning her PhD, and how this led to the creation of her blog: “Rosablogg – about nuclear physics, research and such”. This blog intentionally combines communication of her research, being a parent, and her experiences of being a (young) woman in academia. Taking such a broad approach to communicating research to a wide audience base makes you better at sharing research with your peers and in turn leads to greater achievements within academic life. 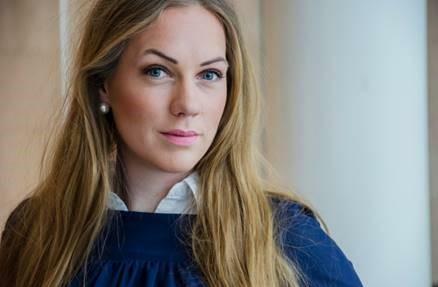 Sunniva Rose has held three TEDx talks, participated in the web TV series “Sushi and Nuclear Power”, formed part of a panel of experts in the TV series “Big Bang” (NRK), is active on the radio and writes articles on science and research for Dagbladet. She holds a PhD in nuclear physics from UiO. The event is free and open to all members of Forskerforbundet.